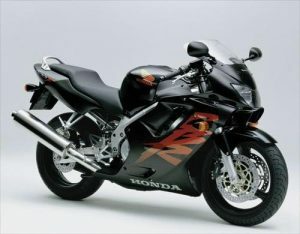 Therefore, in 1999 Honda bit the bullet and released its all new middleweight supersports bike. This was a brave (but much-needed) move and they started with a clean-sheet design headed up by some of their top designers. The result was that – arguably – the CBR went back to the top of the pile even if it was the more ‘sensible’ option compared to the also, then-new YZF-R6: hell, the Honda even still had a centre-stand! 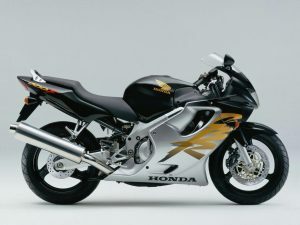 The F-X redesign allowed the CBR to take on the competition head-on and yet still on its own ‘comfy’ terms. It just about kept up with the racier competition on the spec sheets, in the showrooms and on the track. Riding the F-X you’re immediately hit with how ‘at home’ you feel, if you’ve ever ridden any other, previous CBR-6. 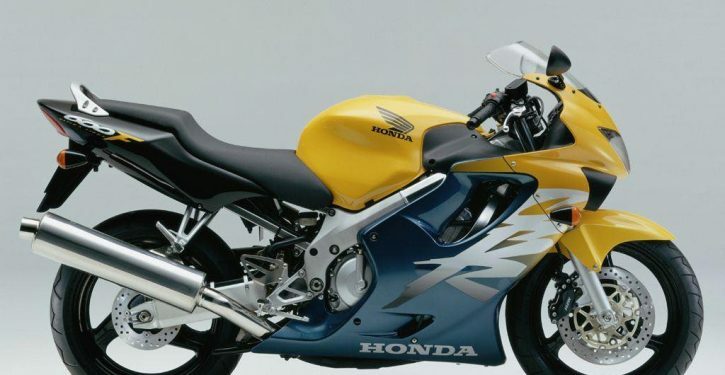 Sure, it wasn’t as extreme as the opposition but this was the allure of the CBR600F model, right? It was – and still is – all things, to all men, women, newbies and experienced riders alike. For – This is an easy-going, do-it-all classic. Do you need any more than this? Nah! Against – Some say it’s dull, we don’t: but we do say the colour schemes are naff!